Only One owner has built and occupied this One Story Home, Now it's your chance to use TLC to make this UR'S! Enjoy 4 Bedrooms, Laundry, Dining, Kitchen & Living Room on the main floor with lots of space giving same level living. Gain equity by finishing basement (currently 1 large Bedroom making a total of 5 bedrooms). 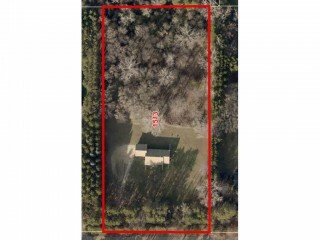 3 Acres features privacy on a Dead-End street with a treed backyard area. It's possible to add pole shed if desired - 2 horses are ok. HB Offer due to LA by Sat 3/31 6pm.